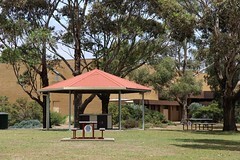 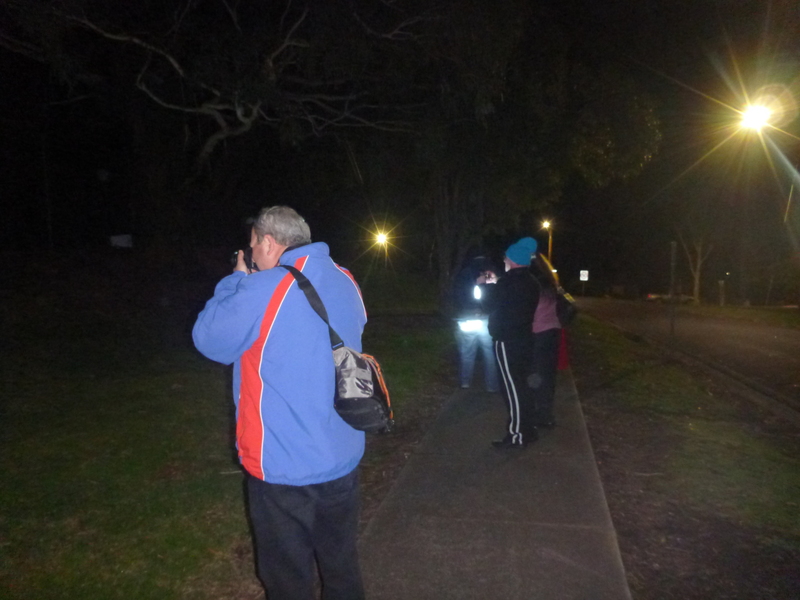 This entry was posted in Gippsland, guided walking tours, Latrobe Valley, Yallourn North and tagged Brown Coal Mine, Ghost Tour, guided walking tour, Latrobe Valley, Traralgon, Traralgon Ghost Tour, walking tour, Yallourn North, Yallourn North Ghost Tour on 01/11/2015 by Haunted Hills Tours. 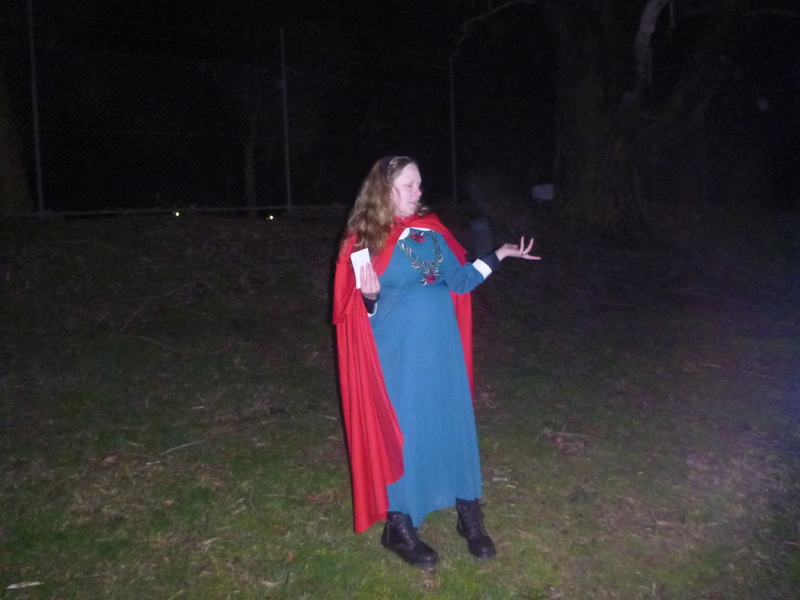 The complete outfit for the tour guide Tegan Dawson of Haunted Hills Tours is pictured above. 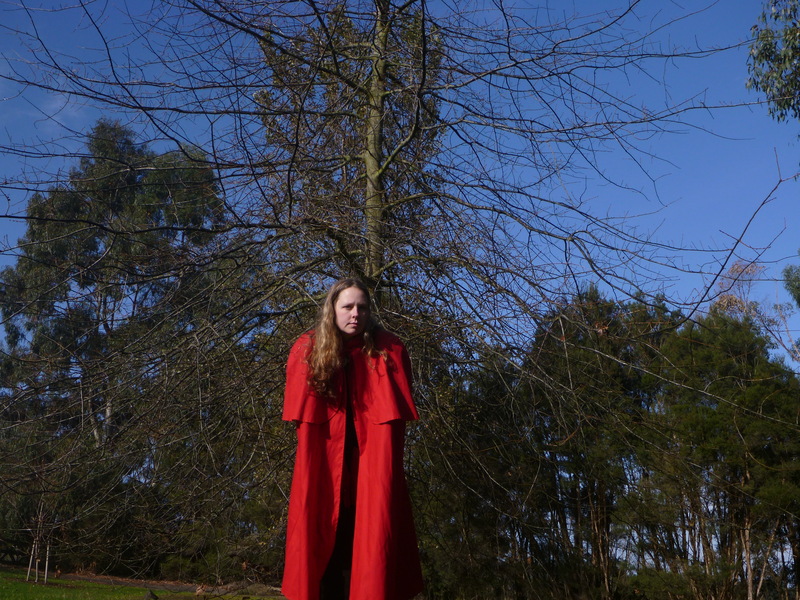 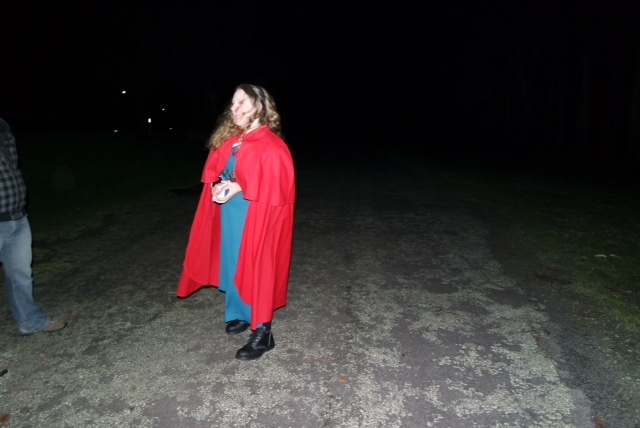 An addition to the costume in May was the red cloak, this was good for dealing with the chill, and added an extra dimension to the costume in addition to the chatty dress. 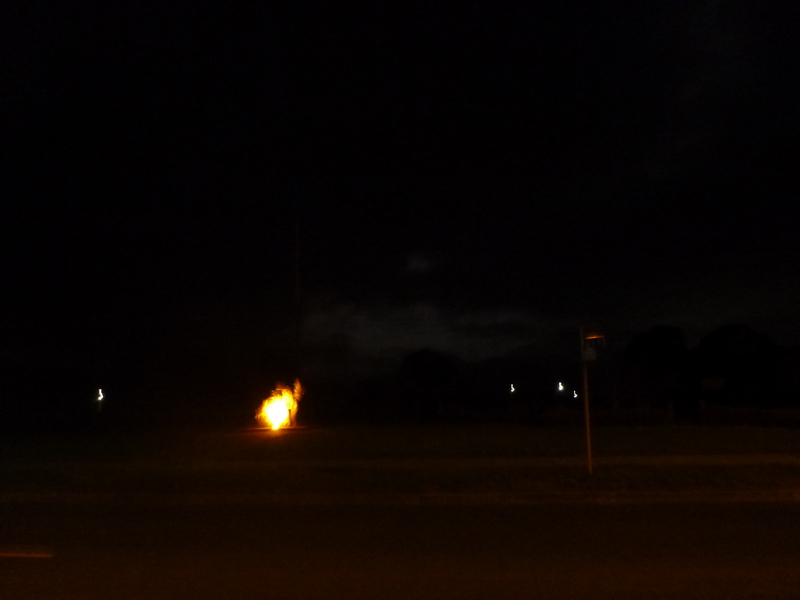 It adds warmth and flair, the breeze using it and making it dance to its own rhythm. 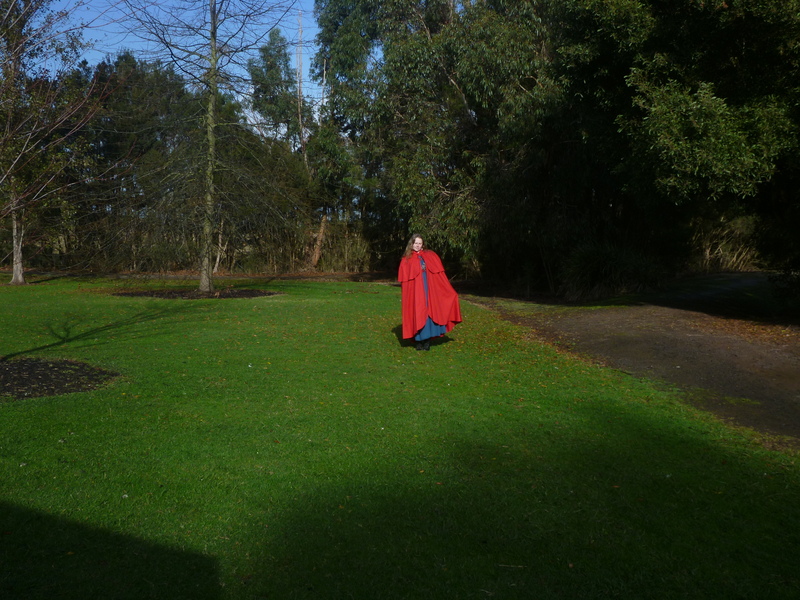 The cloak is less chatty and brings a sense of movement and drama. 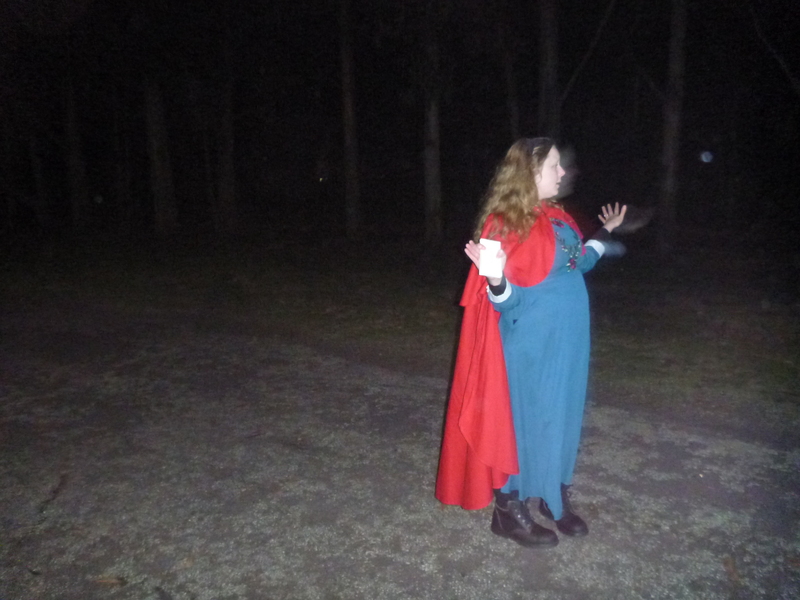 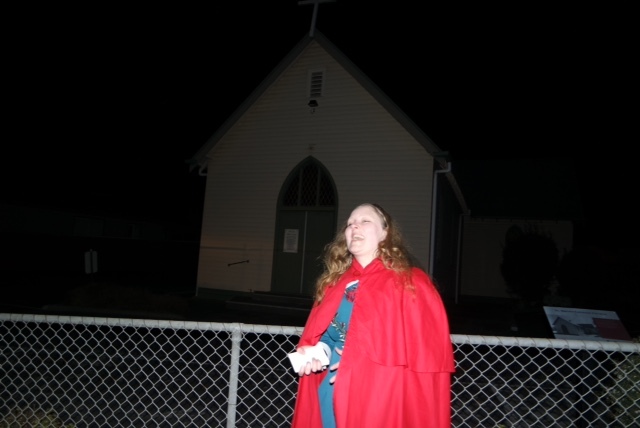 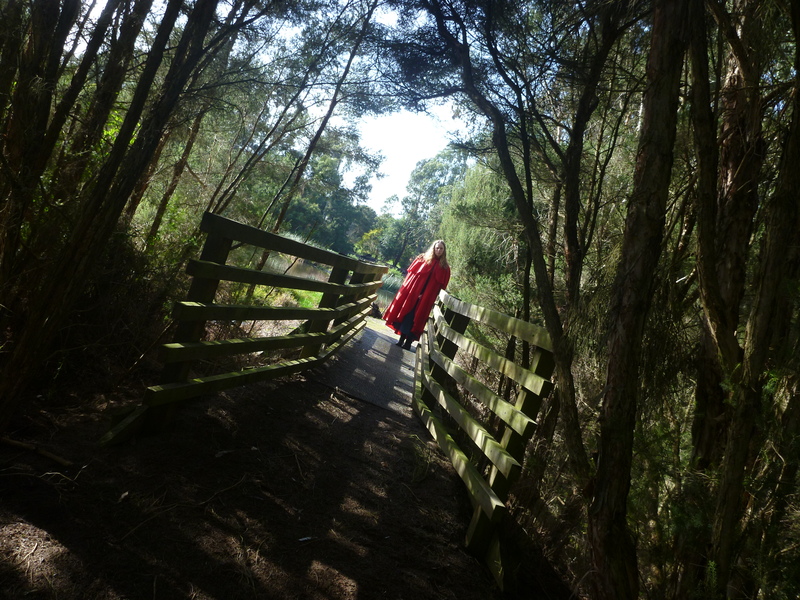 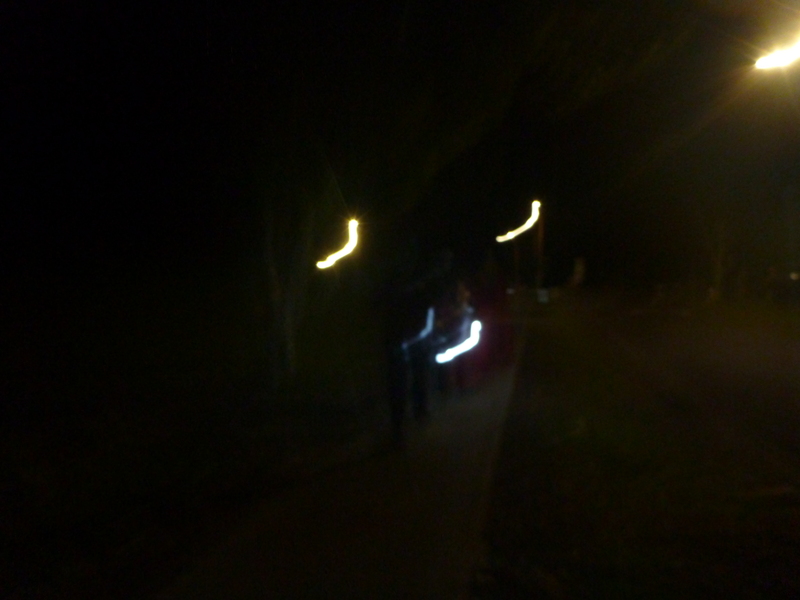 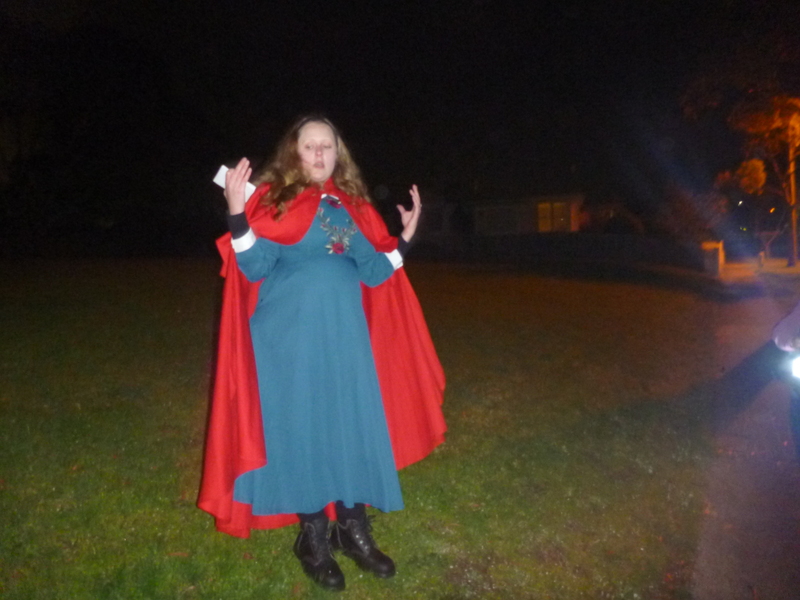 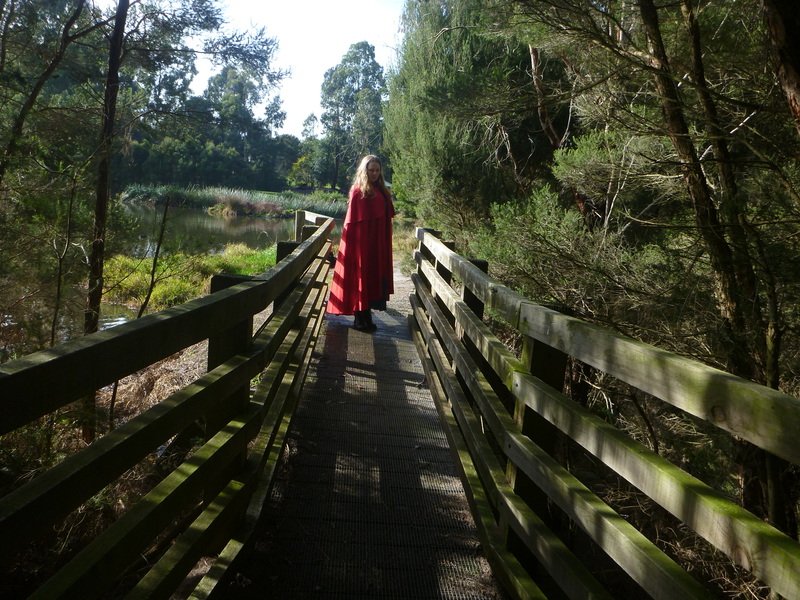 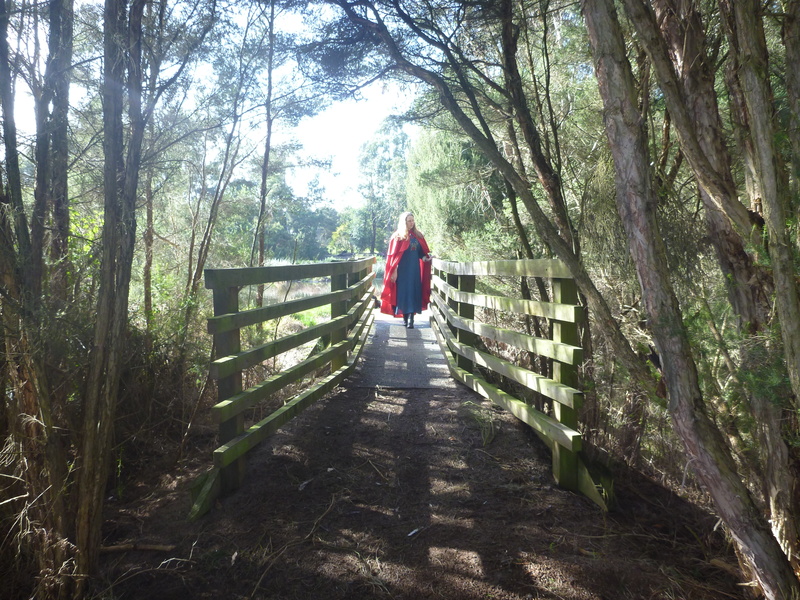 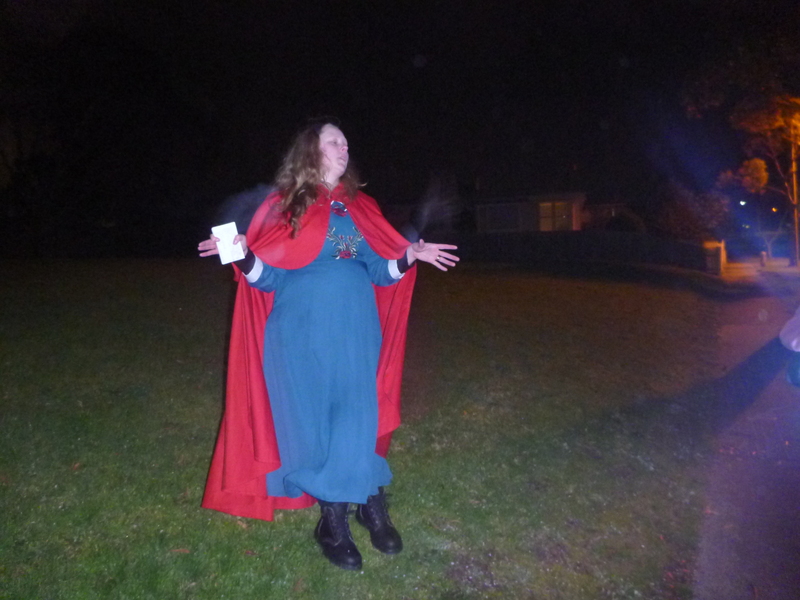 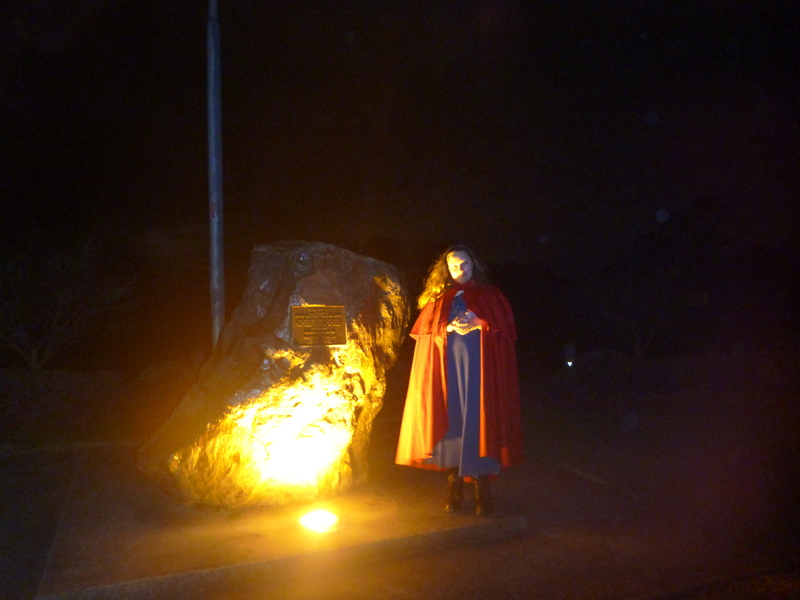 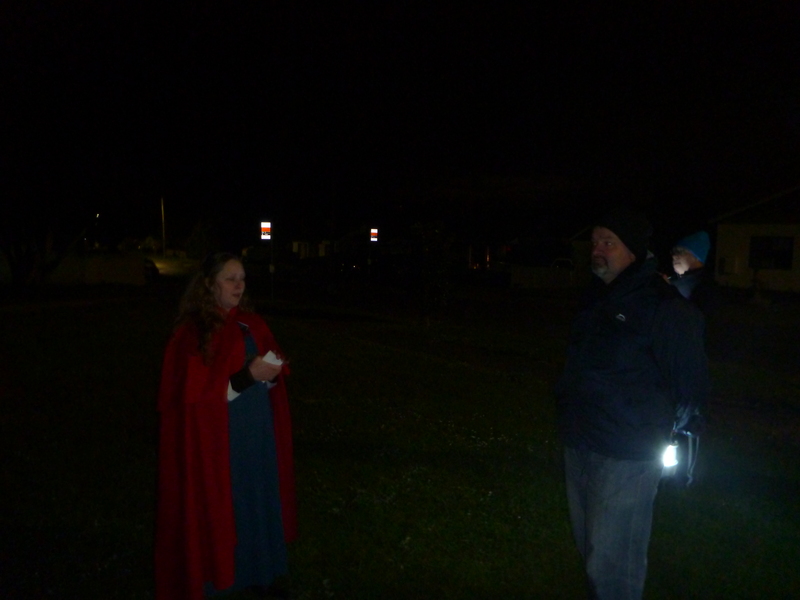 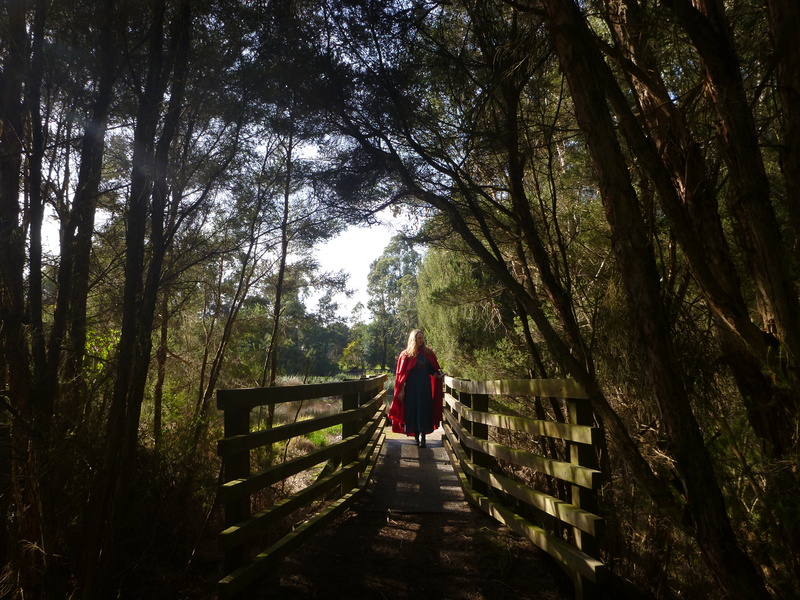 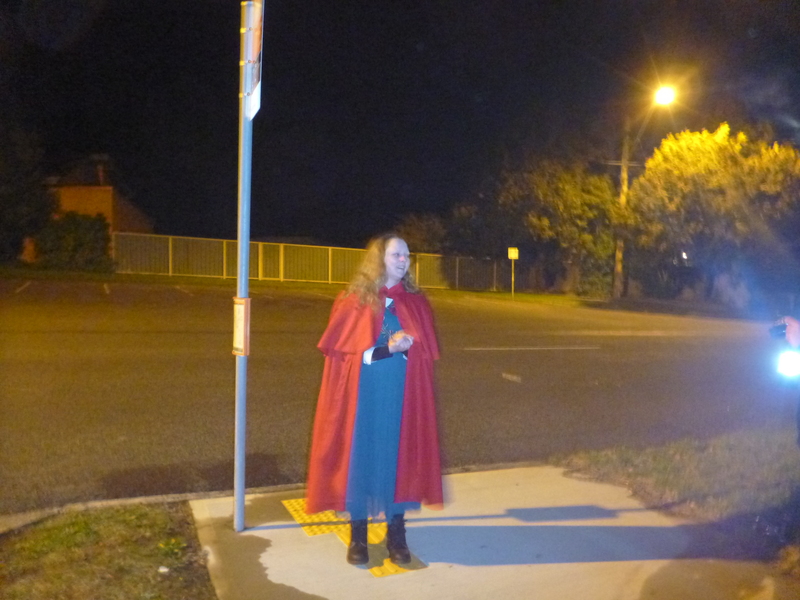 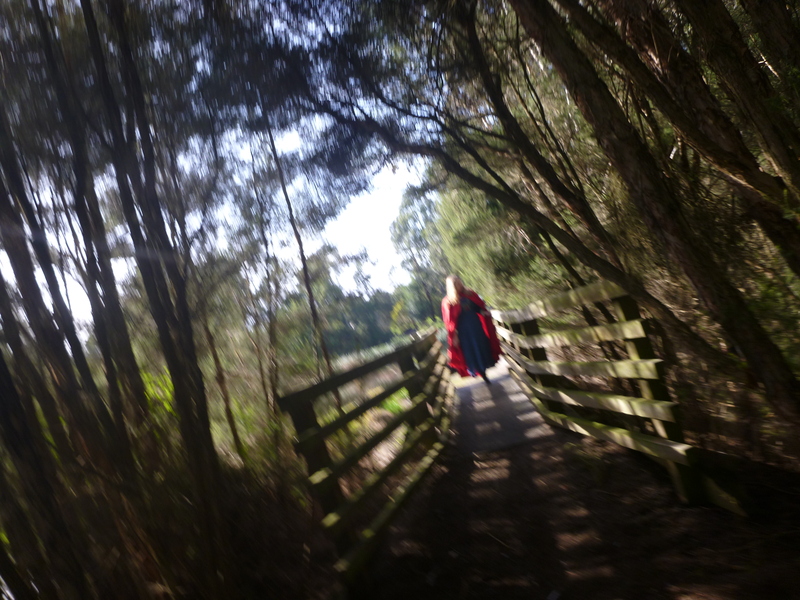 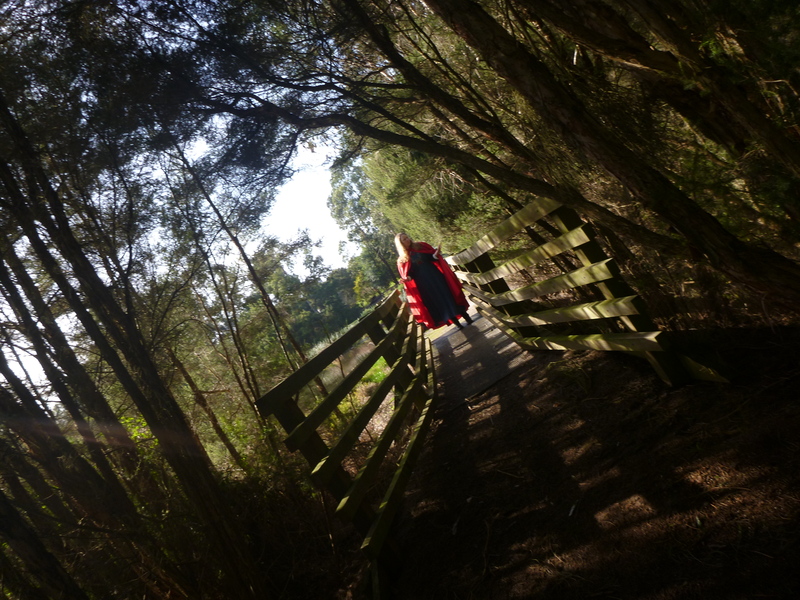 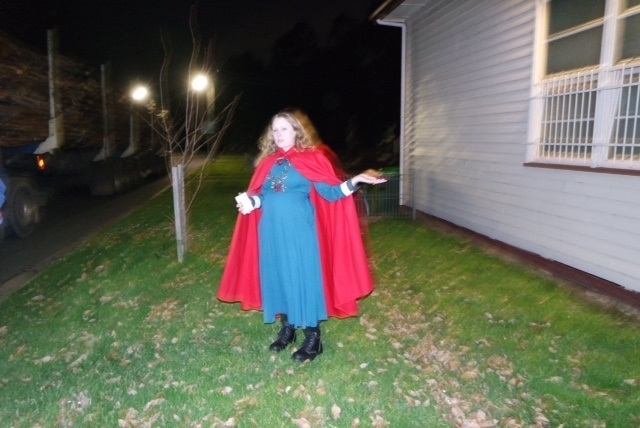 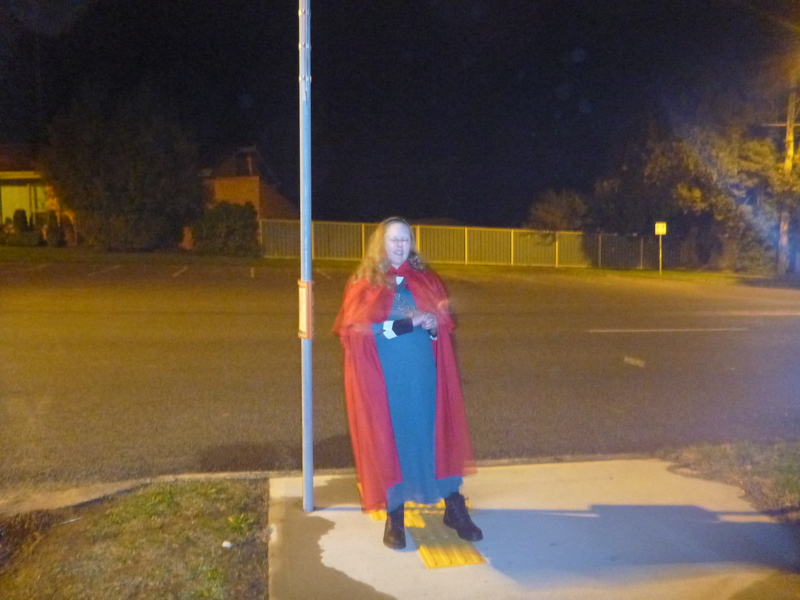 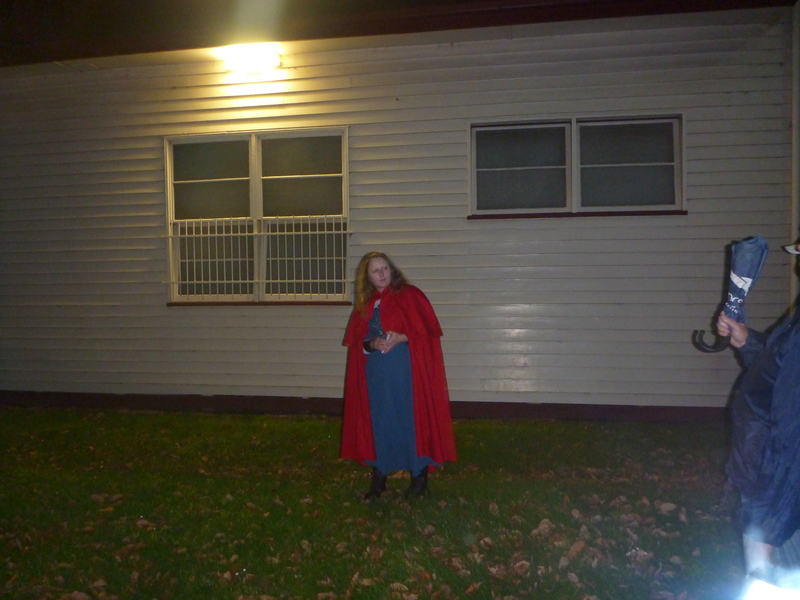 This entry was posted in About Us, Ghost Whisperer and tagged coat, red cape, red cloak, Traralgon, Yallourn North on 23/10/2015 by Haunted Hills Tours. 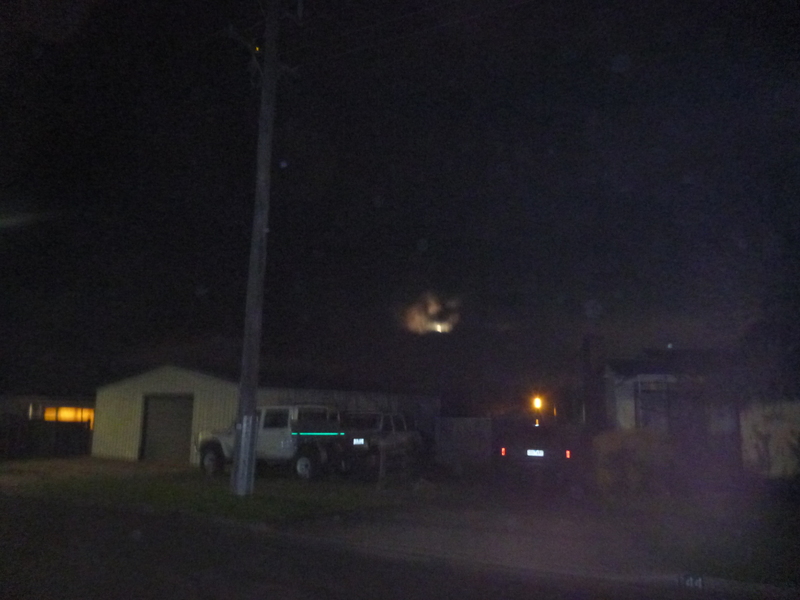 Coalies is the name the people who used to live in the Brown Coal Mine call themselves. 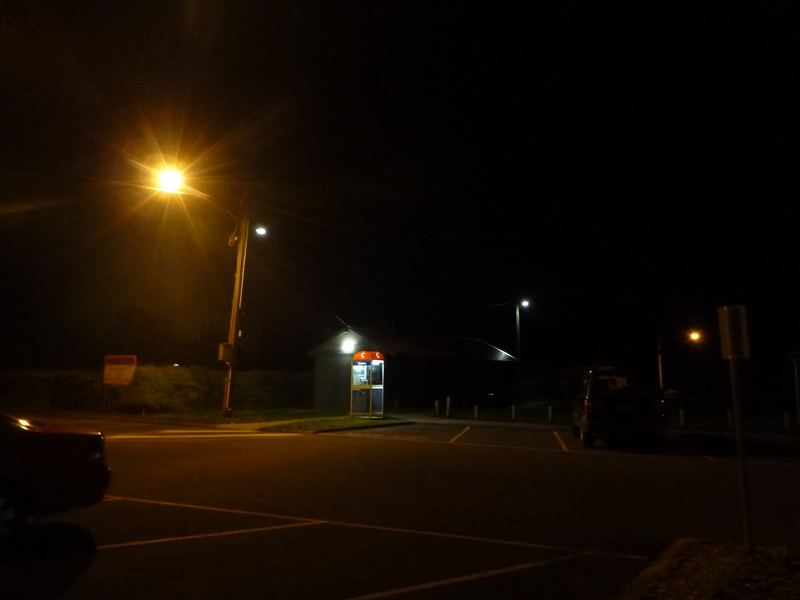 It’s annual catch up of reminiscing and visiting the place they call(ed) home. 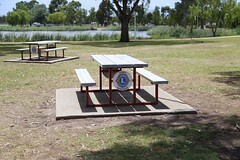 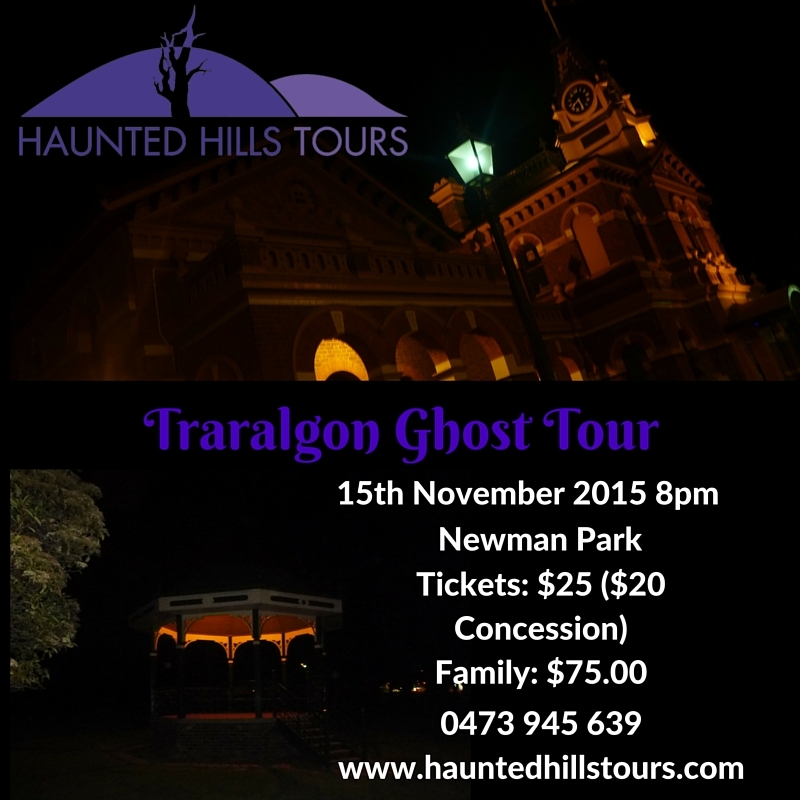 We’d love to meet some of the Coalies, hear their reactions to the tour. 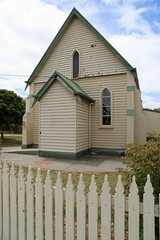 Haunted Hills Tours is running a ghost tour in Yallourn North on Coalies Weekend the 7th and 8th of November at 8pm. 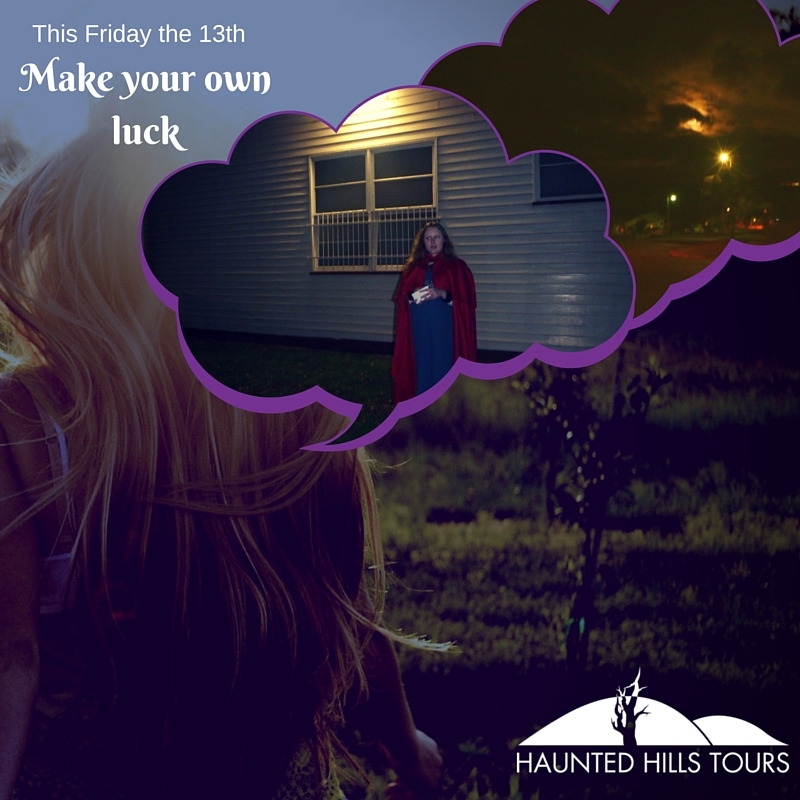 Tell you’re friends your going by joining our event of Facebook. 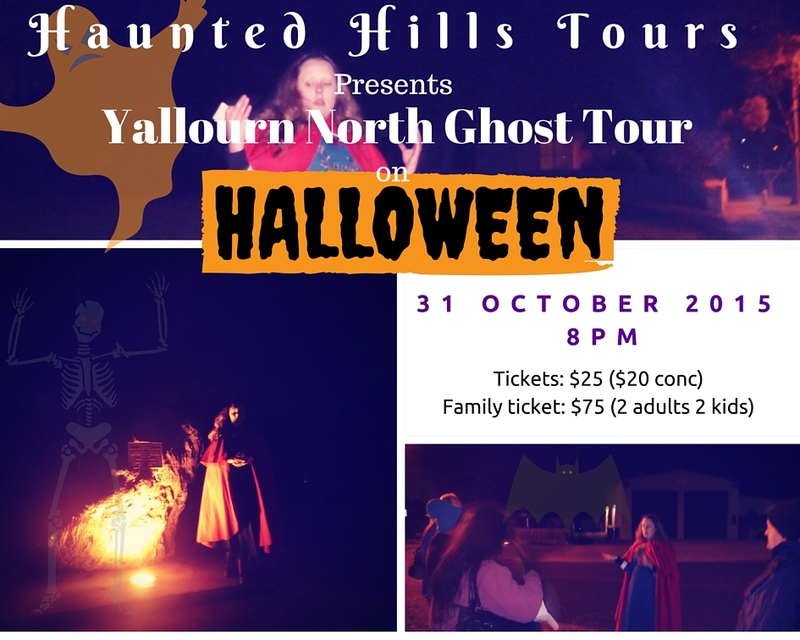 This entry was posted in Gippsland, Haunting tales, History of Gippsland, Latrobe Valley, mysterious, Paranormal, Things to do, Yallourn North and tagged Brown Coal Mine, Coalies Weekend, Ghost Tour, Gippsland, Latrobe Valley, Yallourn North on 06/10/2015 by Haunted Hills Tours. 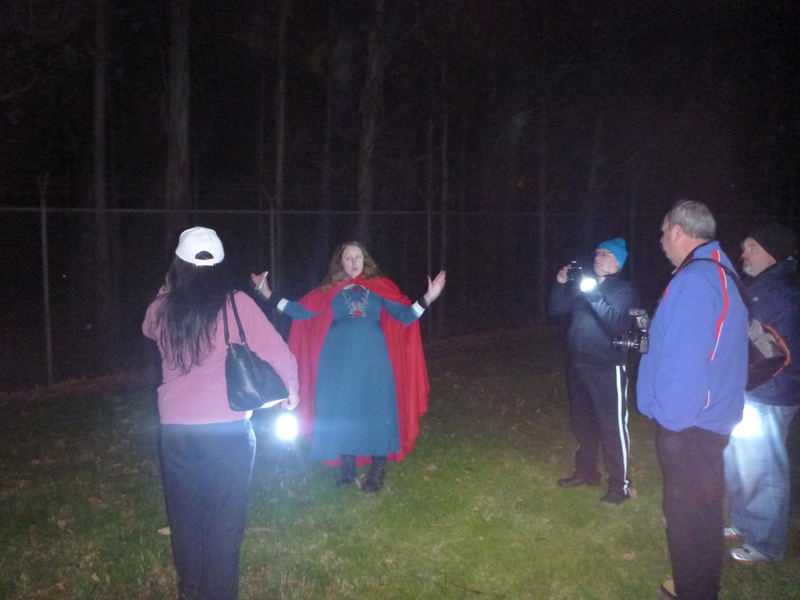 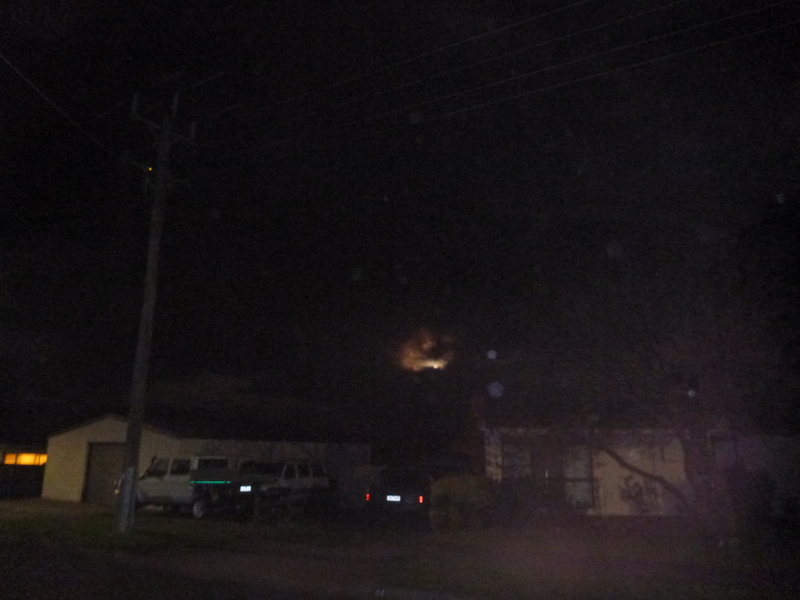 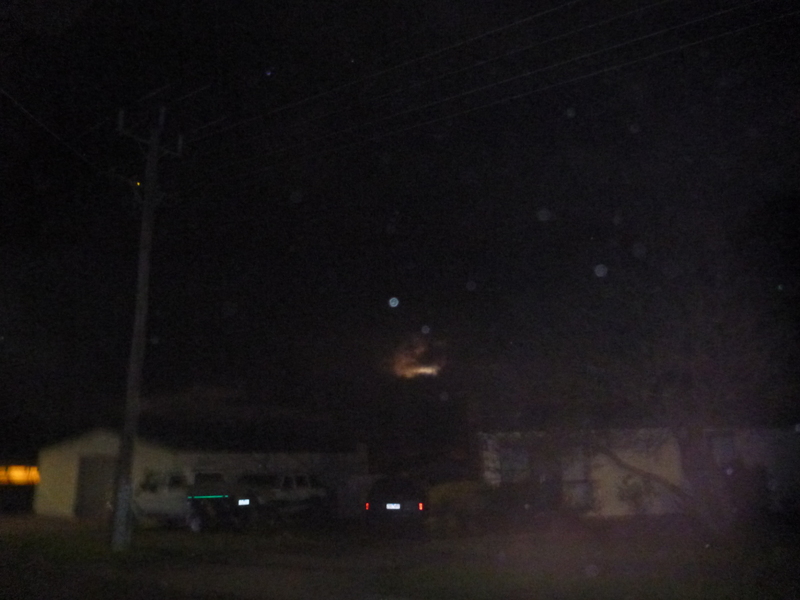 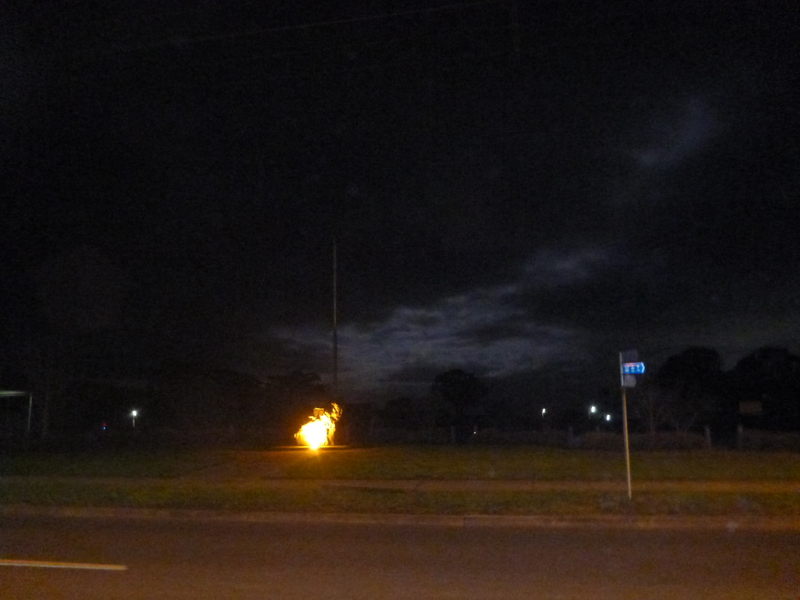 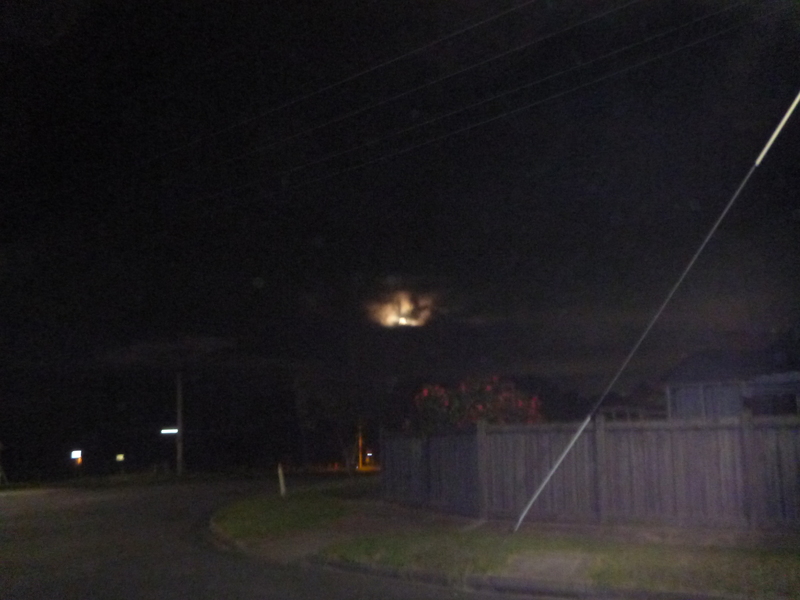 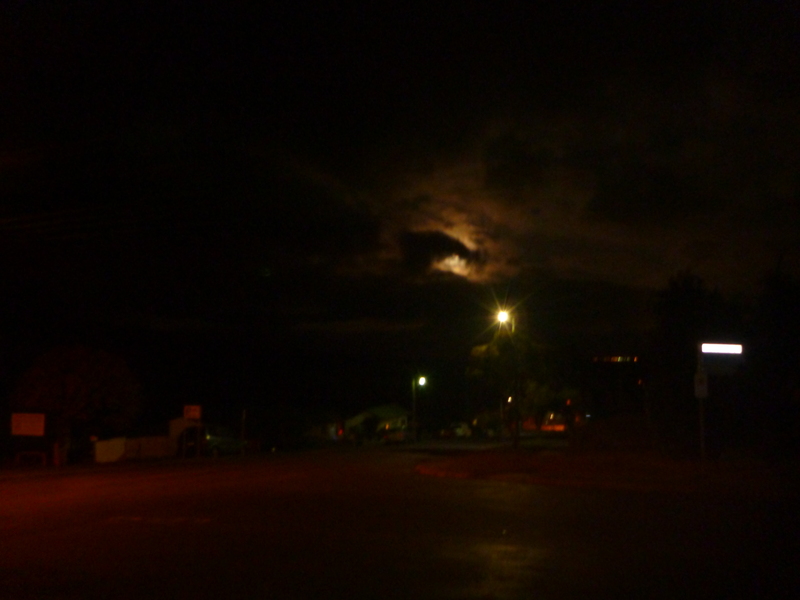 The August, Yallourn North Ghost Tour coincided with super moon. 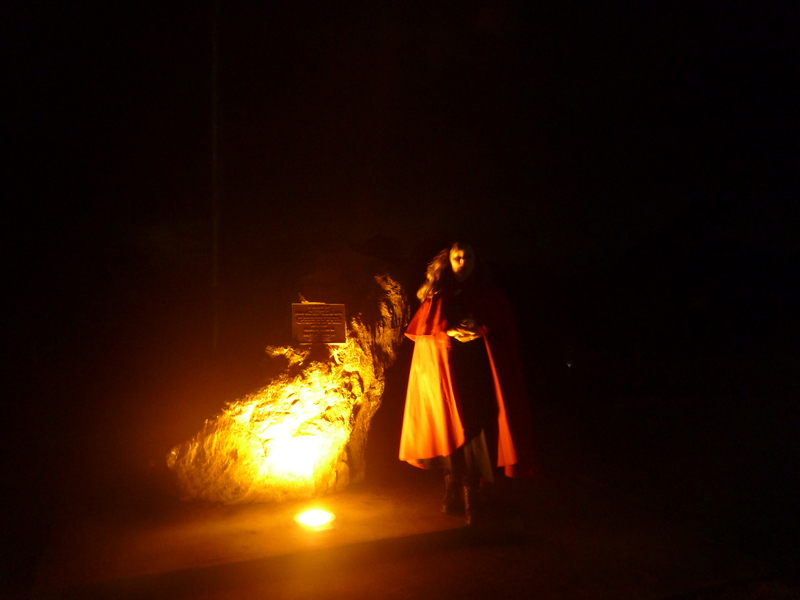 It was incredibly atmospheric, with an intimate crowd, a great night for a walk. 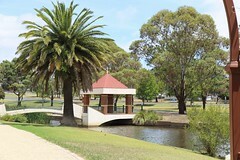 Yallourn North was likened to Sheffield a small town in the UK. 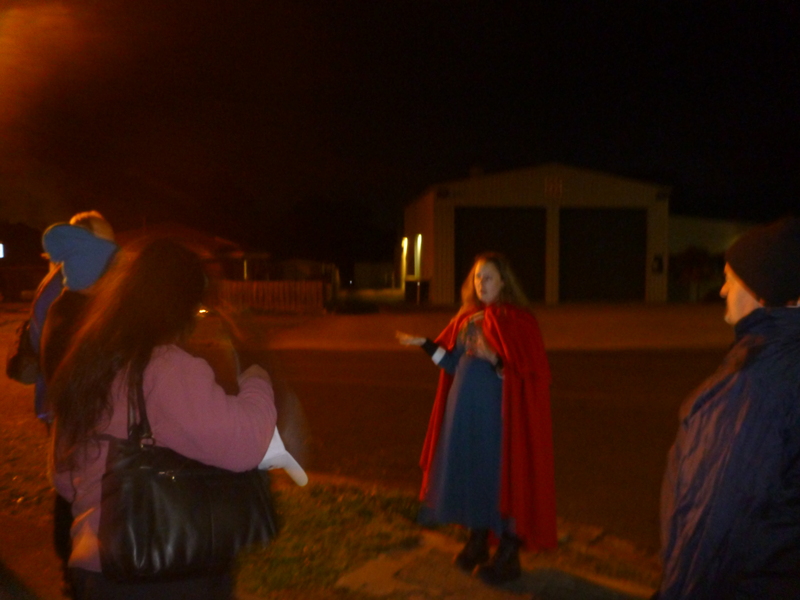 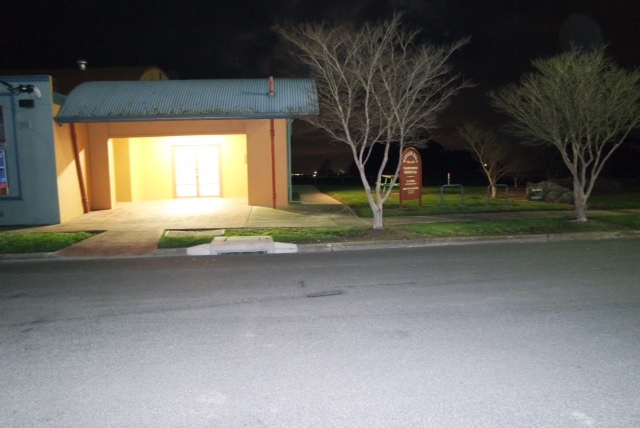 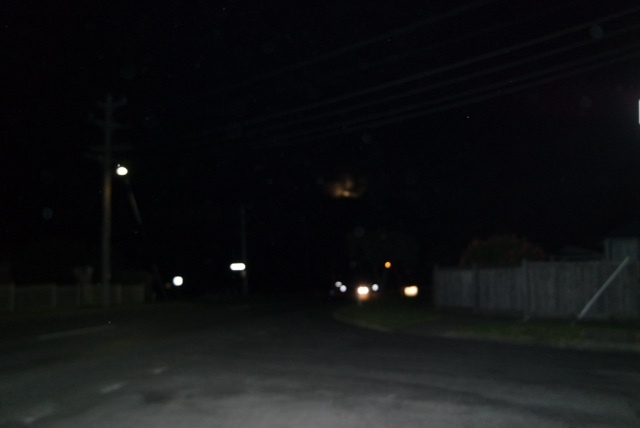 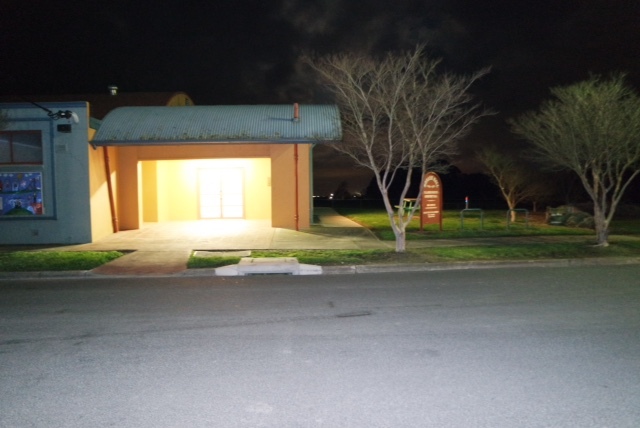 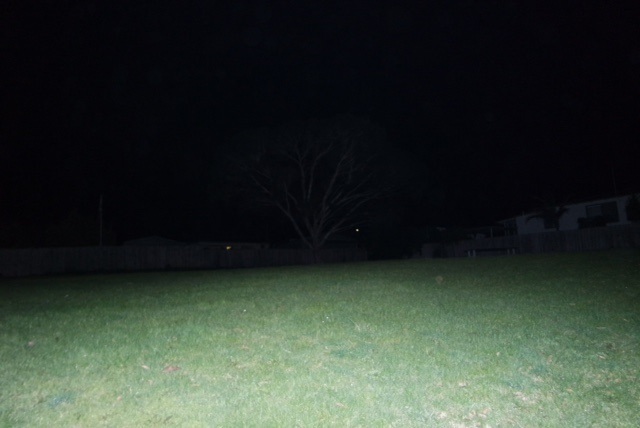 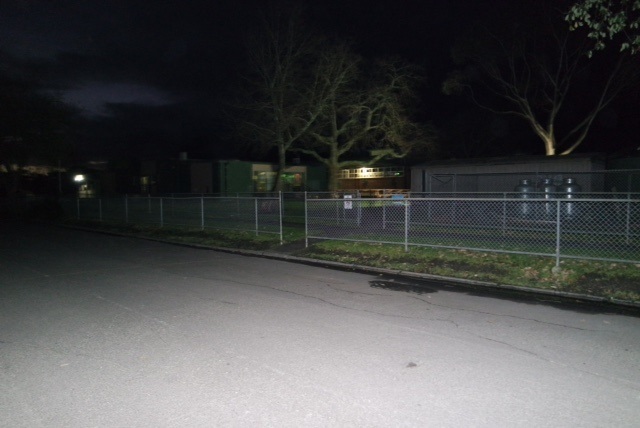 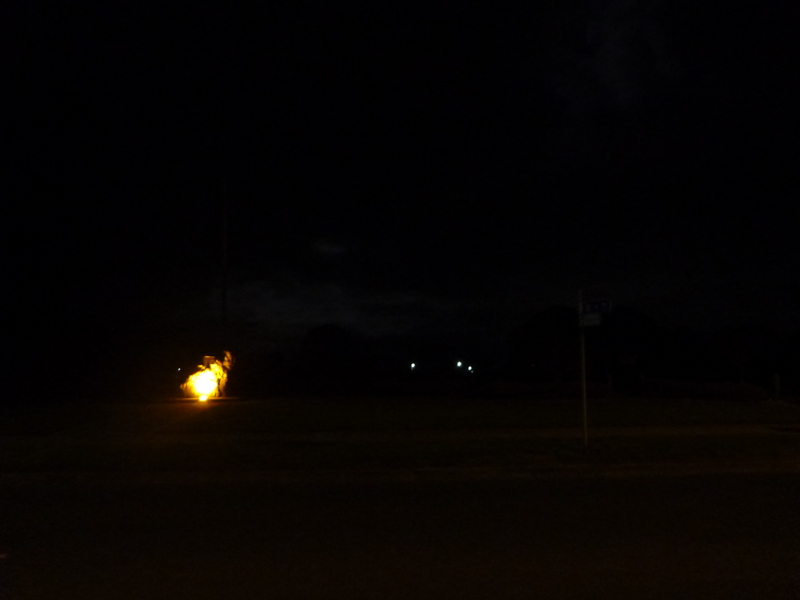 This entry was posted in Haunting tales, mysterious, News, Paranormal, Past tours, unexplained, Yallourn North and tagged August 30th 2015, Ghost Tour, guided walking tour, night photos, orbs, past haunted hills tours, super moon, Yallourn North on 27/09/2015 by Haunted Hills Tours. 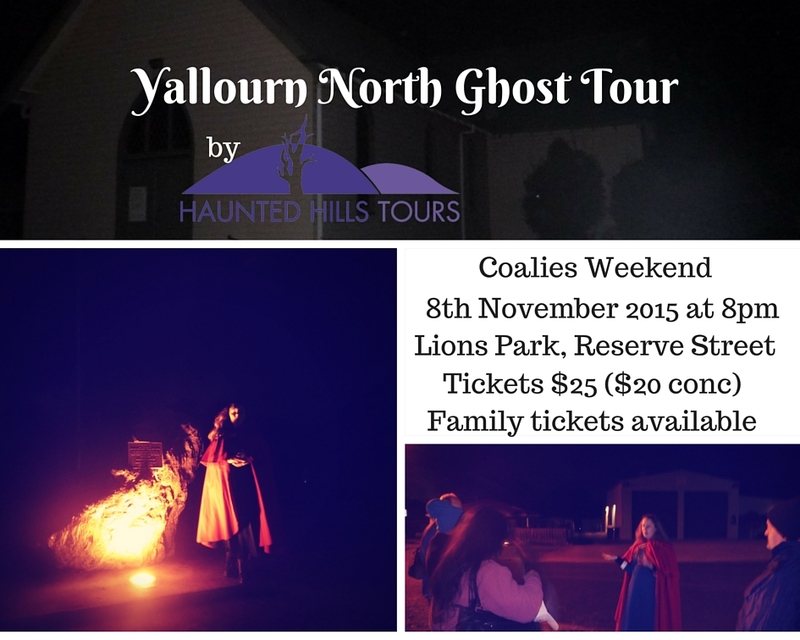 31st of October 2015, 8pm at Yallourn North Ghost Tour. 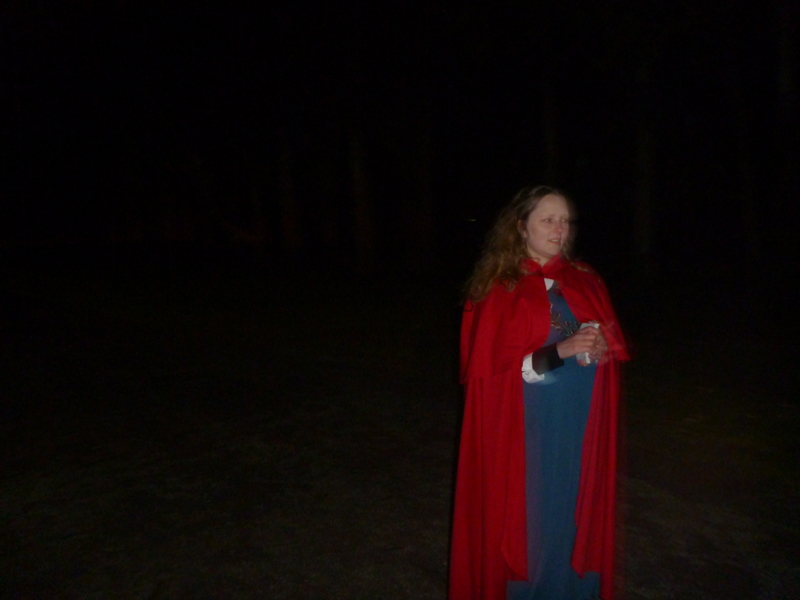 All Hallow’s Eve, the day before the Day of Dead. 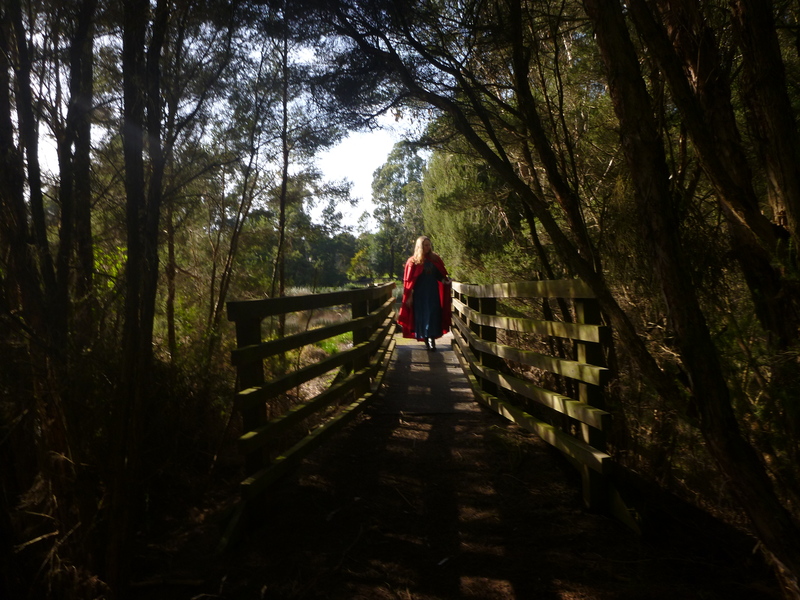 Are you brave enough to tread where life has left and all that remains is a residue? 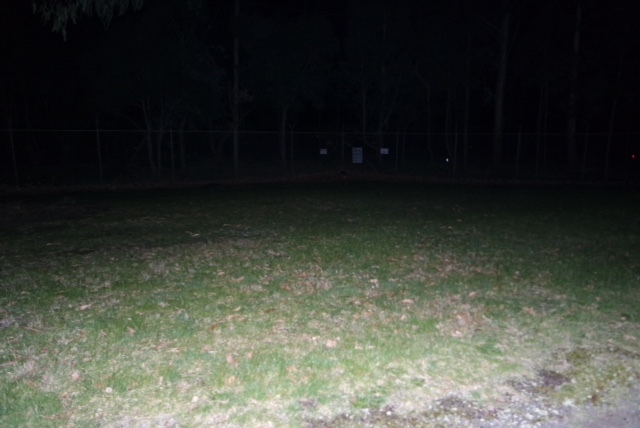 Yallourn North has a number of places paranormal activity is reported, is this the night the barrier between the living and dead is weakest? 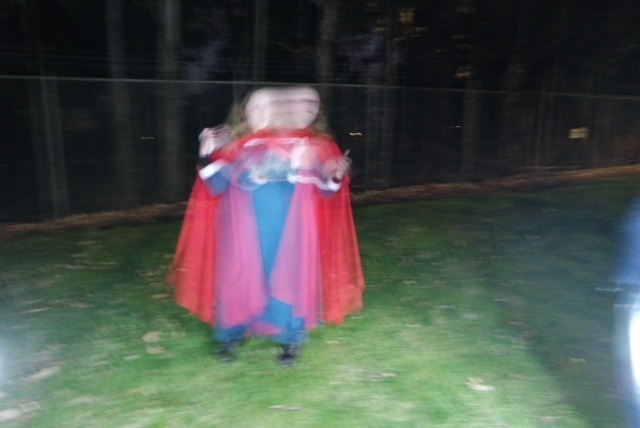 See our past ghosts here. 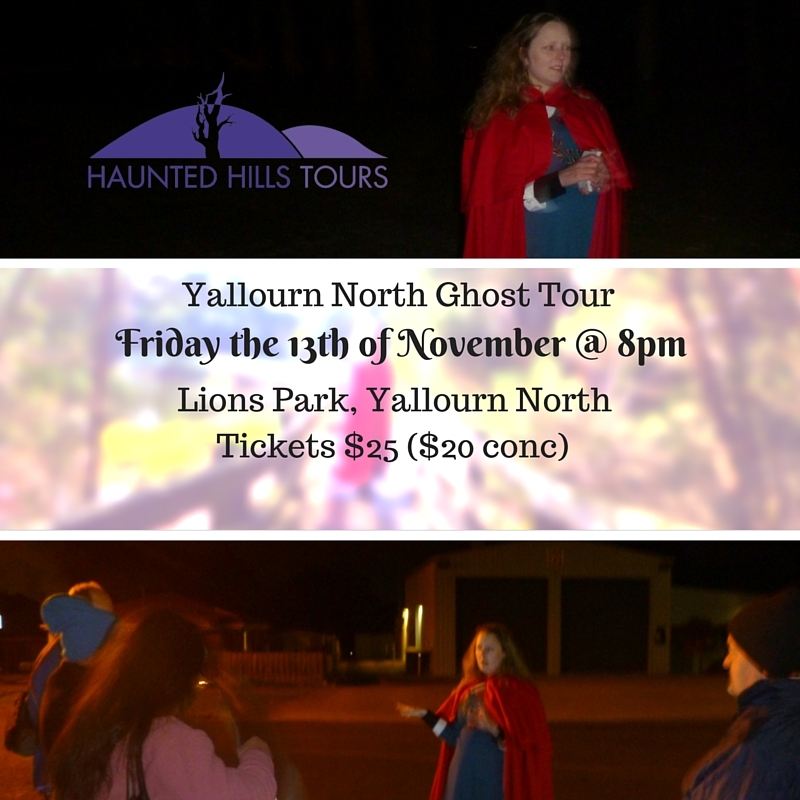 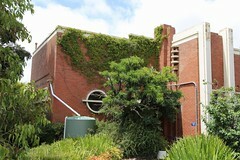 Join us on a walking tour of Yallourn North exploring the paranormal places and stories. 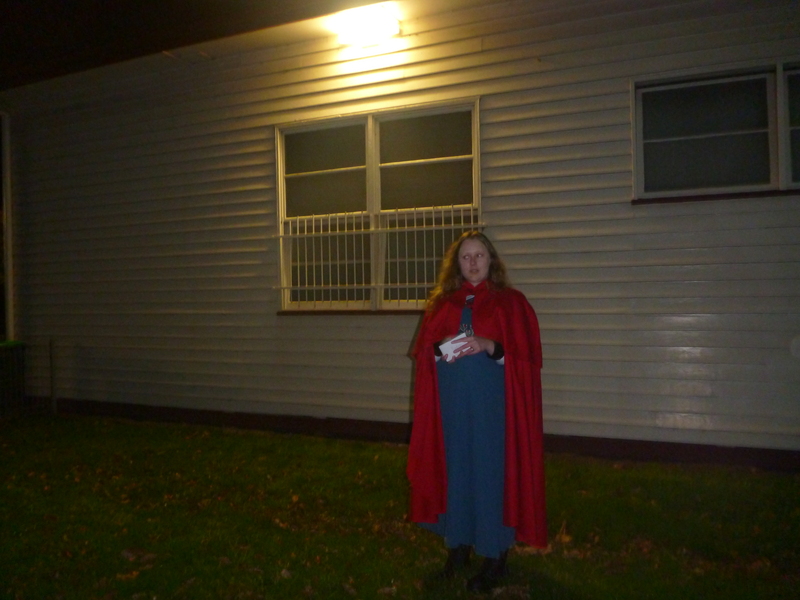 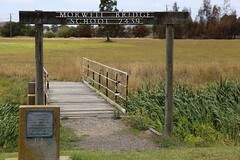 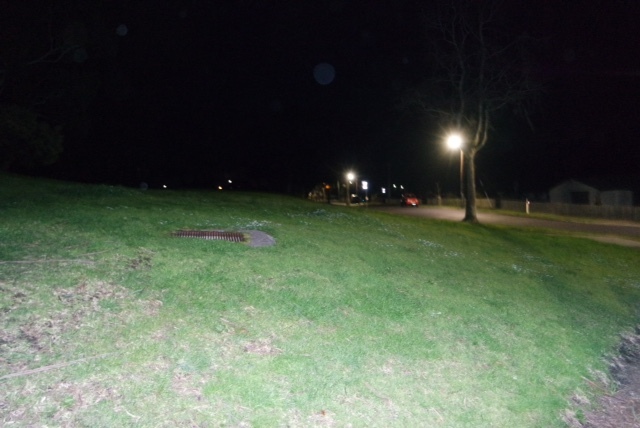 This entry was posted in Gippsland, Halloween, Latrobe Valley, Yallourn North and tagged Ghost Tour, Hallow's Eve, Halloween 2015, walking tour, Yallourn North on 22/09/2015 by Haunted Hills Tours.